This study analyzed study abroad students’ orientations to cultural differences as assessed with mixed methods, including traditional intercultural sensitivity measures and oral narratives of critical incidents in the foreign culture. Sixty students participated, 32 US study abroad students, and 28 Erasmus Mundus students, all studying in English-speaking programs in Italy. Data about students’ acculturation orientation were collected through a self-report questionnaire, and students were asked to narrate a cultural experience that “puzzled” them in a video log format. Statistical analyses were designed to integrate the intercultural orientation (acculturation strategy) and the video log narrative analyses (plot analysis and cultural relevance definitions). Results indicated that Erasmus Mundus students expressed more ethnorelative orientations than the US study abroad students. For example, Erasmus Mundus students emphasized the setting and the ending of their experiences more than the US students did. Erasmus Mundus students presented lower identification scores with their conationals than US study abroad students did. We operationalize those concepts with an analysis of narrative video logs, as tools for students, as well as for researchers and educators involved in study abroad programs. Children’s narrative competence. The role of motivational and cognitive factors in comprehending and recalling from text. Study abroad programs and the development of cross-cultural awareness. Pinto, G., Tarchi, C., Bigozzi, L. (2018). Is two better than one? Comparing children’s narrative competence in an individual versus joint storytelling task. Social Psychology of Education, 21(1), 91–109. Tarchi, C. (2017). Comprehending expository texts: the role of cognitive and motivational factors. Reading Psychology, 38(2), 154–181. Tarchi, C., Pinto, G. (2016). Reciprocal teaching: analyzing interactive dynamics in the co-construction of a text’s meaning. The Journal of Educational Research, 109(5), 518–530. Tarchi, C., Surian, A. (2016). Developing cross-cultural awareness in higher education through the use of video-logs focusing on critical incidents. In A. Surian (Ed. ), Open spaces for interactions and learning diversities. Rotterdam NL: Sense. 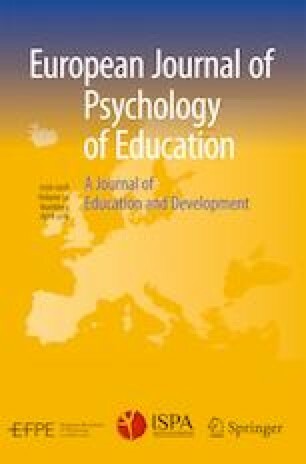 Narratives and critical incidents in professional education, with specific reference to situational judgement testing. Social interaction and cultural diversity sensibility in medical and cross-cultural education. Surian A., Serbati A. (2017). Recognition of learning in informal and nonformal contexts: examples and reflections from the DARE+ experience. In M. Yerosh, A. Serbati, A. Seery (Eds. ), “Developing generic competences outside the university classroom”. Granada: Editorial Universidad de Granada. Surian, A., Greco, C., Mahmud, M., Mantovani, G. (2017). Learning history as views sharing: examples of collaborative practices. In A. Portera, C. A. Grant (Eds. ), Intercultural Education and competences. Challenges and answers for the global world (pp. 159–172). Cambridge Scholars Publishing. Surian, A. (2016). Adolescent learners. In S.L. Danver (Ed. ), The SAGE Encyclopedia of Online Education. New York: SAGE. Surian, A. (Ed) (2016). Open spaces for interactions and learning diversities. Rotterdam NL: Sense. Human development of individuals and collectives (organizations, societies) in rapidly changing political-economic circumstances. Narrative and other discourse genres as means of sense-making and social justice in education, policy, and legal practices. Daiute, C. & Kovacs-Cerovic, T. with Todorova, R., Jokic, T., Ataman, A. (2017). Minority teachers – Roma in Serbia – narrate education reform. Belgrade, Serbia: Institute of Psychology, Faculty of Philosophy at the University of Belgrade and the Association of Pedagogical Assistants. Daiute, C. (2017). Developing with diversity into the third decade of life and beyond. In N. Budwig, E. Turiel, P. Zelazo (Eds. ), New perspectives on human development (pp. 447–468). Cambridge: Cambridge University Press. Daiute, C. (2014). Narrative inquiry: A dynamic approach. Thousand Oaks, CA: Sage Publications. Daiute, C. & Kreniske, P. (2016). Hopes, misunderstandings, and possibilities of narrating for inclusive education. In A. Surian (Ed. ), Open spaces for interaction and learning diversities (pp. 53–67). Rotterdam, The Netherlands: Sense Publishers. Daiute, C. (2010). Human development and political violence. New York: CambridgeUniversity Press. It was really great to kind of even though we don’t speak Italian it was nice to still communicate to someone who is from a different culture from another language, like that had universal language between the two of us using gestures and pictures. Integration was not included in the coding system, as it represents a construction of an intercultural identity, rather than a developmental stage of intercultural competence, and it is not likely to occur in short-term study abroad programs. Example of students’ narratives as expressed through their video-log for each intercultural sensitivity stage. Narratives are listed by T-Units with the respective plot analysis code. INITIATING ACTION: and we decided to go to Assisi. SETTING: We arrived at the train station a good 20 minutes before. SETTING: I thought this would be plenty of time. COMPLICATING ACTION: First I had to try to navigate those machines. COMPLICATING ACTION: This went okay but I had also been warned that I HAD to validate my train ticket before going on the train. 8. but we were certain that we had to do this. COMPLICATING ACTION: So we went to the validation machines. COMPLICATING ACTION: It took me about 5 minutes to figure out how to use the machines. COMPLICATING ACTION: but it was definitely a little different from the United States. COMPLICATING ACTION: You don’t have to do that to do the trains. COMPLICATING ACTION: we could not figure out which platform to go to. COMPLICATING ACTION: But still it was a little worrying. COMPLICATING ACTION: Worse yet, there were no maps AROUND for us to figure out WHERE our train was going. COMPLICATING ACTION: so we all got a little nervous, a little freaked out. COMPLICATING ACTION: We had to wait in line to ask someone WHERE our train was. COMPLICATING ACTION: Now that left us 5 minutes (giggle) to get our train. COMPLICATING ACTION: so we all had to RUN to get our train. HIGH POINT/TURNING POINT: but we did it. We eventually made our train. RESOLUTION STRATEGY: and it also showed the different modernization of Italy. COMPLICATING ACTION: but in Italy this was not the case. CODA: and it puts in perspective the different train systems that are around all different cultures. SETTING: So we decided one of the first weekends here to take a trip to Ikea. SETTING: And I tried to make my bed here as comfortable as it is at home and give me a little piece of home while I’m in my apartment here. SETTING: My mom is obsessed with, we always go. SETTING: So I thought that getting sheets would be a no-brainer, very easy. INITIATING ACTION: But it turns out that was not the case at all. COMPLICATING ACTION: So, one of the first things that was troublesome was in America we use size like “Twin” “Queen,” and “King,” while in Italy they just show the dimensions in centimeters on the package which is completely different from how we do it at home COMPLICATING ACTION: and especially because I don’t, we didn’t really read Italian at all, I really had no idea at all how to read it. COMPLICATING ACTION: So looking at the package at Ikea, I had no idea what was going on. COMPLICATING ACTION: And they didn’t. HIGH POINT: And finally one of the um employees finally understands what I’m saying and she says “twin”? RESOLUTION STRATEGY: And I’ve never been so excited to hear a word in my entire life. RESOLUTION STRATEGY: So she brings the right package. CODA: And it was really great to kind of even though we don’t speak Italian it was nice to still communicate to someone who is from a different culture from another language, like that had universal language between the two of us using gestures and pictures. ENDING: It was nice to think that even though I don’t speak Italian I will be able to get along in Italy. SETTING: Hello, I want to talk about a cultural incident, which ah has happened the first time I went for a swim here in Padova. CODA: but still it yea, it's really interesting to to be in a situation like this. SETTING: Hi, So I was initially going to do my video about a cultural incident here in Padova regarding my helmet. SETTING: I’m one of the very few people who wear a helmet here in the city and how that has actually gotten me a lot of funny looks and stares. SETTING: But I actually have a better story for you today, also regarding my bicycle and how I acted like an Italian because of it. COMPLICATING ACTION: and I decided I would walk it down to the train station, park it there, and then on my way back from school, I'd ah, bring it to the bicycle repair by the station and then ride it home afterwards. HIGH POINT/TURNING POINT: um but on my way back from school today, as I was passing the Giardino di Larena, um, I saw some guy selling my bicycle! RESOLUTION STRATEGY: and I think, because I was trying to speak to him in Italian, as well, I was feeling like an Italian, and so I took out the hands, and it’s like, “signore, questa é la mia bicicletta, no vado pagare dieci cinque per la mia bicicletta” [“Sir, this is my bicycle, I am not going to spend ten or five for my bicycle”]. SETTING: but it’s never happened that somebody stole my bicycle and tried to sell it back to me. The ignition of the plot. This action motivates the plot, which the narration then follows through. Actions building from the initiating action, usually after the initiating action, but can still appear later in the narrative (after high point, resolution strategies). Attempt(s) to resolve the main plot issue; there can be more than one, need not be an ultimate resolution. Celenk, O., & Van de Vijver, F. J. R. (2011). Assessment of acculturation: issues and overview of measures. Online Readings in Psychology and Culture, 8(1). https://doi.org/10.9707/2307-0919.1105. Roy, A., Newman, A., Ellenberger, T., & Pyman, A. (2018). Outcomes of international student mobility programs: a systematic review and agenda for future research. Studies in Higher Education, 1–15. https://doi.org/10.1080/03075079.2018.1458222.